Is gap cover a waste of money? 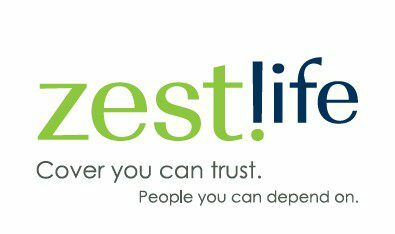 Is Zestlife just out there to take your money? Having to a pay a gap cover company to do what my medical aid is not doing. So could the money you spend on gap cover be better spent elsewhere? Why would the biggest open medical scheme in South Africa launch their own gap cover product? For that matter, all the major medical schemes offer some form of gap cover product? Is Zestlife just there to take your money? Look, I hate being ripped off as much as you do. There’s nothing worse than paying for something and then listening to “um’s and ah’s” when it comes to your claim. So if I’m going to recommend a company like Zestlife, then I’d like to know a little about their claims history. Only fair, right? One thing we need to understand about gap cover is the fact that they can’t perform the function of a medical scheme. So if your medical aid doesn’t pay for a procedure in terms of their rules, then the gap cover company cannot pay for that procedure either. So if we look at the statistics, it seems that most people should have gap cover. It also tells us that Zestlife is in the business of paying valid claims, and personally I’m thankful that there are companies willing to pay the shortfall. What would we do without them? And here’s something else I thought about. Take your car and home insurance company for instance. Too many claims and they either increase your cost or they ask you to take your business elsewhere. A cellphone lost here and a small bumper bashing there – it all adds up. But with gap cover it’s different. If you don’t have gap cover right now & you’re a member of a medical aid then you should seriously consider Zestlife Gap Cover. NB: You have to be a member of a medical aid in order to join Zestlife. Cover starts from only R247 per month. More ek wil graag ‘n mediesefonds he wat my kan dek vir biejie dokter, ekstrale, bloedtrek die alle daagse mediese uitgawes, en dan ‘n redelike hospitaal opnames en spesialiste.